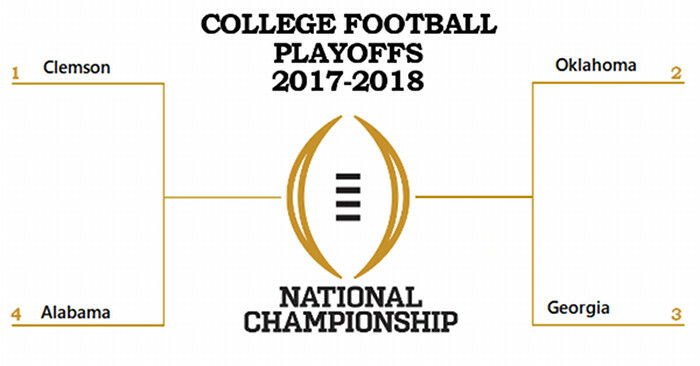 Tom, Dan and Ryan recap the semifinal games of the College Football Playoff and then preview the 2018 College Football National Championship Game. This podcast also includes the final game in our Greatest Teams of Our Lifetime bracket, a matchup between 1995 Nebraska and 2008 Florida. Find out who was chosen as the best college football team of our life. The show ends with Dan’s lessons from the 2017-18 bowl season, and then Tom and Ryan reflect on the first Buffalo Bills playoff appearance in 18 years.